A great night’s sleep can be an utterly sublime experience, even if you don’t have sweet dreams. Not enough rest, however, robs your mind of the ability to think clearly and your body of the ability to repair itself, says Meir Kryger, MD, director of the sleep medicine fellowship program at Yale University and author of The Mystery of Sleep. Still, most adults don’t get the roughly seven hours they should per night. Whatever your sleep stumbling block, we found these satisfying solutions to help you rest easy. Problem: You dread bedtime because you have trouble falling asleep. Solution: Stop this pattern by giving yourself plenty of time to downshift before turning in for the night, says Bilgay Izci Bal-serak, PhD, an assistant professor at the Center for Narcolepsy, Sleep and Health Research at the University of Illinois College of Nursing at Chicago. Set a digital curfew (no more electronics, not even TV) for at least an hour before bedtime, and engage in a soothing activity such as taking a warm bath, playing calming music, meditating or doing gentle stretches before slipping between the sheets. Once you’re ready to turn in, try drifting off to one of the relaxing bedtime visualization exercises (called “sleepcasts”) on the Headspace app or to a sleep story on the Calm app. Taking melatonin supplements two hours before bed every night also can help regulate your sleep-wake cycle. Another option: Acupuncture may improve insomnia, especially total sleep time, according to a recent study. Problem: Your partner’s snoring is driving you crazy. Solution: Don’t resort to separate bedrooms just yet! If it’s an occasional problem, you could encourage your partner to sleep on their side (not their back). If they find this position hard to maintain, a full-body pillow may make it easier. All the tried-and-true advice you may have heard before does work, so consider having your partner use a saline nasal rinse or wear a nasal strip at bedtime (which may help keep nasal passages open), advises Barry Krakow, MD, a board-certified sleep medicine specialist and medical director of Maimonides Sleep Arts and Sciences in Albuquerque. 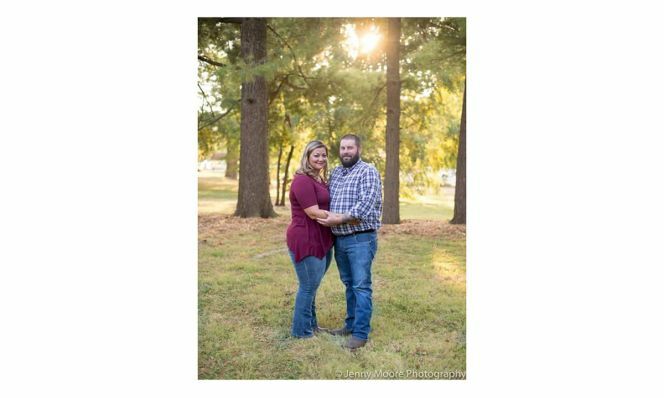 If the snoring is really loud or your partner gasps for air periodically while snoring, which could be a sign of sleep apnea, encourage them to see a doctor for a sleep evaluation. Problem:You get up to pee multiple times a night. Solution: At least a third of adults have nocturia, a condition that forces them to get up to urinate more than once a night when they’d rather be asleep. And many don’t realize that the condition is treatable. “It’s the most common cause of sleep disturbances, and in most cases, it’s because people produce more urine than they should at night,” explains Benjamin Brucker, MD, director of the division of female pelvic medicine and reconstructive surgery at NYU Langone Health. Nocturia can be brought on by drinking too much in the evenings, sleep apnea, edema (swelling in the legs), underlying medical conditions (like diabetes or bladder diseases) or certain medications (such as diuretics). To reduce nighttime trips to the bathroom, try decreasing how much you’re drinking in the evening (especially alcoholic and caffeinated beverages). You may also want to talk to your doctor: If a physical exam rules out infections or other health conditions, you could be a candidate for a new drug called Noctiva, a prescription nasal spray containing desmopressin acetate that’s used 30 minutes before bedtime to reduce urine production at night. Sleeping late is like giving yourself jet lag. “You’re shifting your internal clock and making your body feel like it’s in California when you’re really in New York,” says sleep expert Jodi Mindell, PhD. Problem: You feel anxious when you slip between the sheets. Almost 38% of people report unintentionally falling asleep during the day at least once in the last month. Problem: Your body running hot, then cold, then hot keeps waking you up. Solution: Most people’s body temperature drops during sleep. But if you’re in the throes of perimenopause or menopause, you may suffer night sweats followed by chills due to estrogen and progesterone levels that are sometimes too high and sometimes too low. Whether your hormones are to blame or you just tend to run hot, it helps to wear pajamas that are made of a breathable, moisture-wicking fabric, says JoAnn Pinkerton, MD, executive director of The North American Menopause Society and a professor of obstetrics and gynecology at the University of Virginia Health System. Use fans and opt for layers of blankets so it’s easier to cool down or warm up—that is, if we can convince you to ditch your down comforter. If you suspect a medication you’re on (say, an antidepressant, beta blocker or corticosteroid) is making you wake up in the middle of the night, ask your doctor if you can change the time of day you take it. 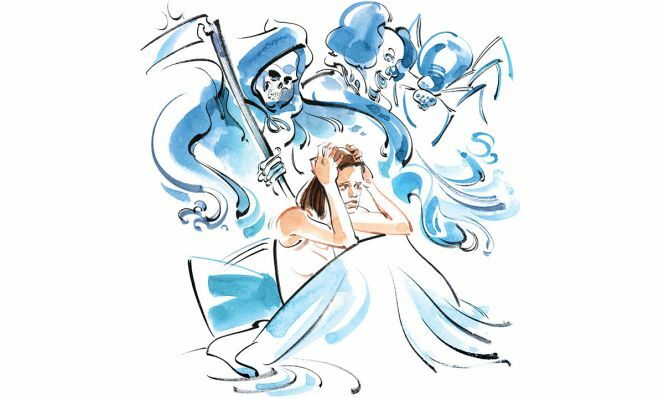 Problem: You’re haunted by bad dreams. Solution: The best way to treat chronic, frequent or recurring nightmares, Krakow says, is with imagery rehearsal therapy (IRT). In a nutshell, this involves changing disturbing scenarios from nightmares into neutral or more positive ones. Then you rehearse the “new dream” just before you fall asleep to help reduce or eliminate nightmares. Just three sessions of IRT can significantly improve sleep quality and reduce the frequency of nightmares. If bad dreams are only the beginning of your problems, you’ll need more than positive imagery for help. “Many people have nightmares, insomnia and sleep apnea—what’s called the nightmare triad syndrome,” Krakow says. “It’s a triple whammy associated with depression and anxiety.” To restore quality shut-eye, all three conditions need to be treated individually. Problem: After a bad night’s sleep, you find yourself practically drifting off on line at the grocery store. Solution: If you have insomnia, skip the nap, advises Michael Breus, PhD, a sleep specialist in Manhattan Beach, CA, and author of The Power of When. If you don’t have insomnia, take a nap but keep it short to avoid messing up your sleep at night. His solution (which he calls “nap-a-latte”): Quickly drink 6 ounces of lukewarm drip coffee, which has the highest caffeine content, then take a 25-minute nap. “You will get your stage 1 and stage 2 sleep (see below), which will make you feel less sleepy, and the caffeine will kick in at 25 minutes,” Breus explains. After that, you should feel alert and energized for at least four hours. Problem: You wake up several times each night and often have trouble getting back to sleep. Solution: If you open your eyes and immediately start ruminating about your kid’s biology grade or your credit card bill, do something relaxing before bedtime. Deep breathing or visualizing a peaceful scene from your last vacation can calm your mind for a less turbulent night of rest. Alternatively, CBT-I, either in person or with an app like Sleepio, can improve your chances of falling and staying asleep. Already up? If you can’t get back to sleep after 20 minutes, get out of bed and go to another room to engage in a calming activity, like listening to soft music, under dim light. Return to bed when you feel sleepy again. “If that doesn’t work, repeat the process until it does,” Balserak advises. Just don’t stay put. The harder you try to fall asleep by remaining in bed, the harder it will be to drift off. In the morning, think about whether it’s time to make an appointment with your doctor. This issue is frequently linked to obstructive sleep apnea and periodic limb movement disorder, explains Clete A. Kushida, MD, PhD, division chief and medical director of Stanford Sleep Medicine. Before menopause, women are far less likely to be diagnosed with sleep apnea than men. After menopause, the disparity starts to even out. If you think you might have one of these conditions—because your bedmate has told you that you snore or move your legs a lot in bed—it’s worth getting a sleep study done. “When people report waking up two or three times per night, it’s often worse than they realize. I’ve seen sleep studies where it’s more like 10 to 90 times an hour,” Kushida says. You know that calming effect swaddling babies into burritos has? Weighted blankets can offer the same soothing sensation to the rest of us, Winter says. Try ones by My Calm Blanket, YnM and CuteKing. Problem: You go to bed at a normal time but wake up before sunrise. Solution: This could be a sign of sleep-maintenance insomnia, which means you have no problem falling asleep but you do have trouble staying asleep, says Breus. The solution is to get strict about sleep hygiene. First, take inventory of your bedroom to make sure it’s quiet enough and you’re not being awakened by outside sounds. If that’s not the problem, stick with a consistent bedtime routine, exercise regularly during the day and limit or avoid alcohol since it acts as both a depressant and a stimulant. “The stimulant effects kick in later in the metabolizing process, so drinking close to bedtime can increase the chances you’ll fall asleep quickly but wake very early in the morning,” Breus says. If you can’t get a grip on this pattern on your own, CBT-I can help. Once upon a time, sleep was thought to be a passive process in which the brain and body shut down like a computer. Now experts recognize that sleep is a highly active state in which the brain goes through patterns of activity. Here’s what happens about every 90 minutes. The brain shifts you away from wakefulness. Your heartbeat, breathing and eye movements slow down and your muscles relax. Because this sleep stage is light, you can be awakened easily. The brain produces brief bursts of electrical activity before brain waves slow down. Your heartbeat and breathing slow even more, your body temp drops and your eye movements stop. 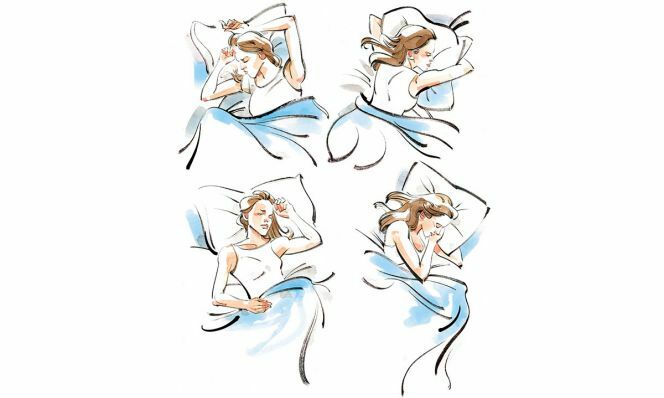 Just recently combined by experts, these are the deep stages of sleep, sometimes called delta or slow-wave sleep. It’s when repair of the body’s tissues and muscles occurs. Behind closed lids, your eyes dart quickly from side to side, your breathing becomes faster and your heart rate and blood pressure increase. This is when most dreaming takes place. If your teens burn the midnight oil, then are immovable when you try to wake them in the morning, they (and you) are not alone. It’s a natural development that their sleep cycle shifts—it’s not that they’re lazy sacks. Try these steps to help them sleep. Let your kids help decorate their room and pick out their sheets and pillows. As a result, they’ll really love being in their space and—more important—being in their bed. Skip the caffeine (coffee, tea, soda or even chocolate) within four hours of bedtime. Do non-screen-related activities as a family at night. Parents need to help teens manage their use of technology and fill time with other activities. Preventing addictive patterns from forming will help kids step away from tech when it’s time for bed. Create a wind-down routine (like reading, listening to calm music or—gasp!—talking to family) before bed. Be a sleep role model. By taking sleep seriously and having a sleep routine, you’ll show your teens how to have a healthy attitude about sleep.